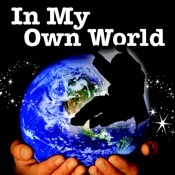 Escape into a world of imagination with In My Own World! This beautifully designed app walks you through a tale that will be sure to set your mind free. One minute you’re exploring the open sky and the next you’re traveling to the depths of the sea! This app is intended to free your mind and create an opportunity for your imagination to run wild. Join in on the tale of a child who escapes in their own world. You can opt to read the story on your own or have it read to you. Read to Me mode is narrated by a soothing vocal track which fits seamlessly into the story. In My Own World is the winner of the 2007 Dragonpencil Award for Superior Illustration due to its stunning images and animations. The app is guaranteed to capture the full attention of the reader – no matter what age they are! Words are placed in such a way that a continual rhyming technique is present throughout the tale. In the background, modern-based music and sound effects set the tone help to isolate you from reality. Let your child learn and grow as they experience this amazing app! If you have a child who is in need of acceptance, this app is for you. See what In My Own World can do for you and your child. We invite you to continue the experience at www.wordsofmercy.com. Here’s what others are saying!